What Schools Offer Software Engineering Programs and Related Degrees in Utah? According to the Utah Governor's Office of Economic Development, IT growth in Utah out ranked California, Washington, Arizona, Colorado and the rest of the United States. What does this mean? Utah is becoming a hub for Tech companies, specifically in the Salt Lake area. It also means that those pursuing an education in the fields of software engineering, computer science, computer engineering and related areas are, based on this data, setting themselves up to be highly employable after graduation. The most recent Bureau of Labor Statistics data also suggests the growth trend to continue beyond the next decade. Schooling in software engineering in Utah can take various shapes including a targeted education via a software engineering undergraduate degree program or via the commonly pursued computer science undergraduate degree. 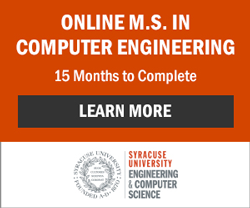 Graduates of undergraduate computer engineering degree programs may also find themselves recruited into software engineering programs and related fields. The later undergraduate degree programs often include courses that cover components of software engineering that provides students enough knowledge and applicable skills to perform in software engineering positions. All of these programs are excellent choices for those interested in the software engineering and development fields. Employers are well aware that graduates of these programs are prepared to hit the ground running becoming effective assets quickly after being hired.